Combining a novelist’s talent for atmosphere and character with a scholar’s grasp of historical perspective, T.C.F. Hopkins provides a sweeping portrait of the many tragedies that seeded the conflicts that plague the Middle East today. By focusing on the rise and fall of civilizations from the ancient Egyptians and Hittites to the five- hundred-year conflict between the Ottoman and Byzantine Empires, Hopkins sheds light on why this region has played and continues to play a critical role in world affairs, relating the story with eloquence and a sure eye for telling details and juicy morsels of fascinating information. T.C.F. 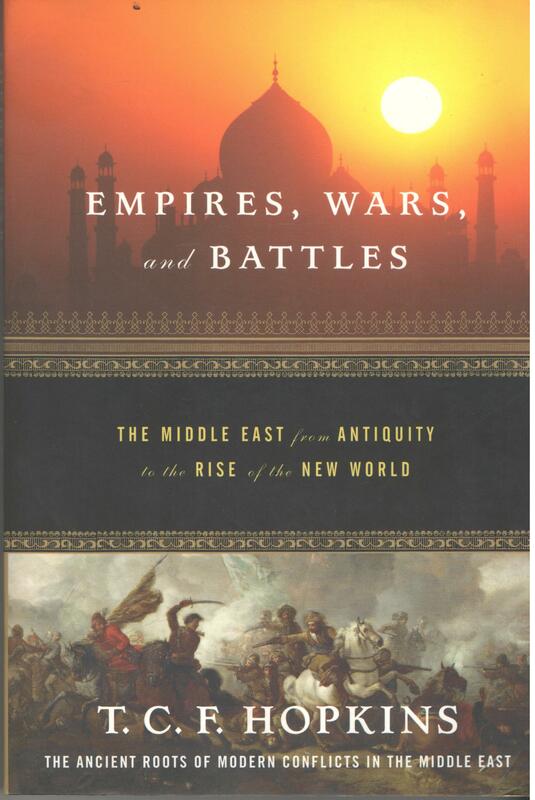 Hopkins has the uncanny ability to let the reader see the big picture and understands that before we can draw any lessons from history we must understand the past on its own terms, Empires, Wars, and Battles is a must-read for anyone interested in the story of this cradle of cultures. It is an essential resource for those serious about developing an educated perspective on how and why the Middle East came to be as it is today.